We’re excited to announce the grand opening of our Downtown LA office this month. CENTRL DTLA is our first location in California, and we’re looking forward to bringing our first-class amenities and dynamics design to SoCal (minus the Portland rain). 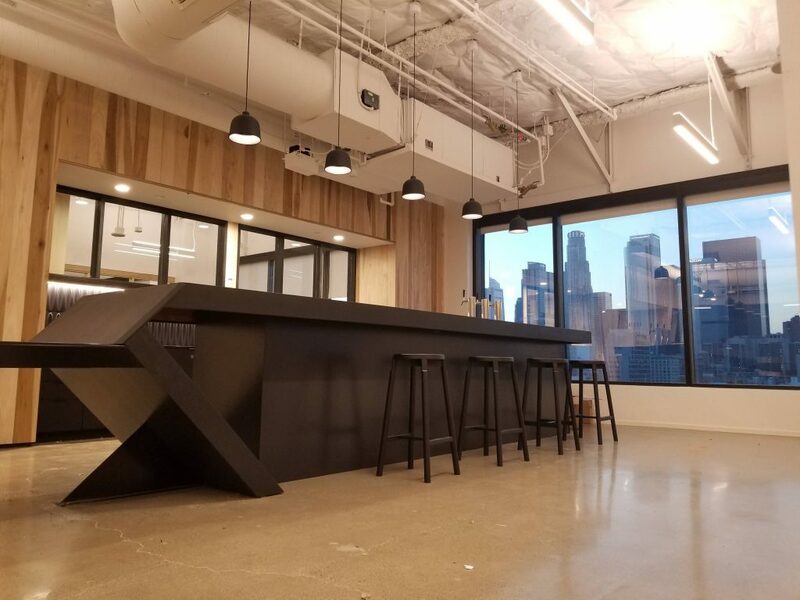 We’re confident that entrepreneurs, remote workers, growing and established businesses will thrive in our bright, comfortable and productive space. Our office is right in the heart of Little Tokyo, a neighborhood that has deep roots in Japanese-American history. It’s a growing hotspot for great restaurants, breweries, and shopping–especially sneakers. Easy access to dining out for lunch or after-work drinks with co-workers and clients is another great perk of the area. The new CENTRL DTLA borders two additional areas of downtown: the Historic Core and the Arts District. Our office is on the the 7th and 8th floors of the Brunswig Square building, near the Aratani Theatre and Japanese Village Plaza. Carmen Leung, our CENTRL DTLA Membership Lead, says she’s looking forward to building an engaged community of members in a culturally vibrant area. 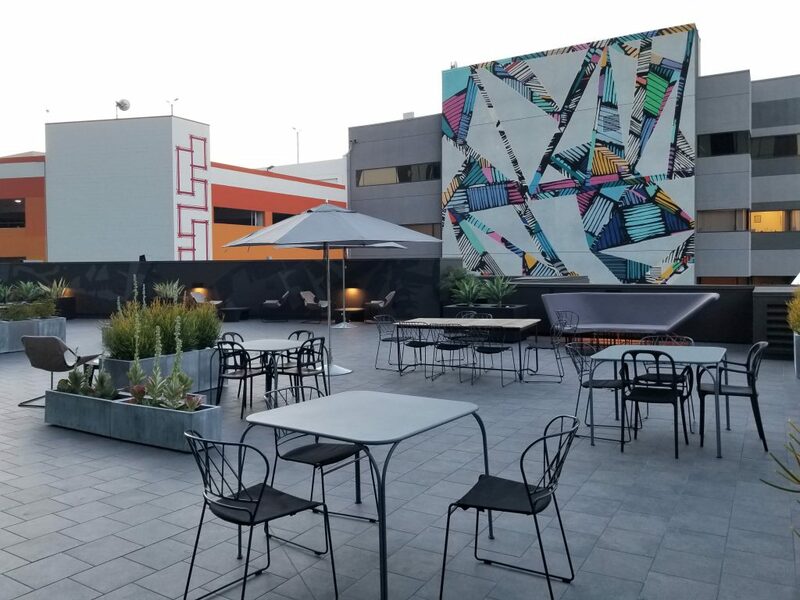 CENTRL DTLA will host panel discussions, workshops and community events that will give members an opportunity to network and grow as individuals and as businesses. When you’re working all day, transitioning your seating environment can make a huge difference in productivity. 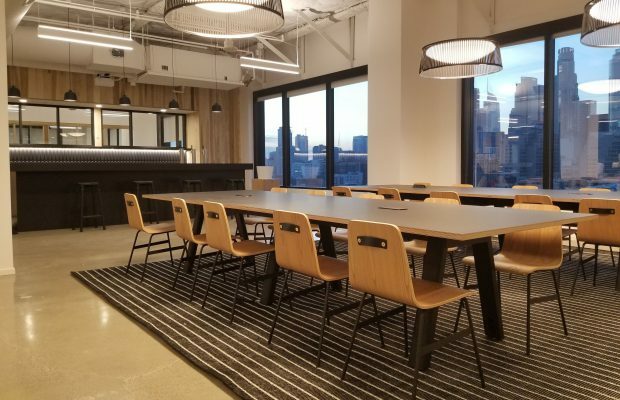 Our LA office design encourages movement, with plenty of flexible seating nooks and common areas for eating lunch or brainstorming sessions. Work spaces range from open areas, to dedicated desks and private offices. Offices have a range of sizes and can accommodate larger companies up to 40 people. There are five meeting rooms, kitchen space, private showers, sit-stand desks from Fully and a mother’s room. 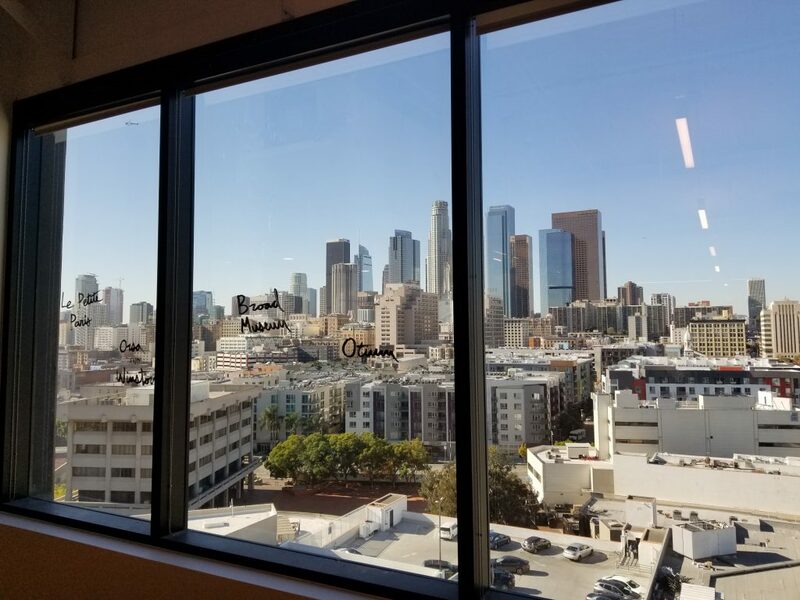 Our favorite feature of the LA office are the floor-to-ceiling windows that highlight sweeping views of downtown. Our intention was to encourage members to feel inspired, at ease and productive as they do great, good work. Don’t hesitate to check out our LA office when you’re in town. Whether it’s to get work done outside of the house, meet with clients or brainstorm with partners, CENTRL Office will always be your home.